Laundry room: Using your garage space as a laundry room allows you to use the interior spaces in your home more effectively. Many homeowners find that by moving their laundry room to a garage, they can remove non-load-bearing walls inside their homes to create larger living spaces. An additional benefit to a garage laundry room is that the noise generated by washing machines and dryers is farther removed from the living areas of the home. Since a washer and dryer do not take up the entire garage space, there is still plenty of room for storage with this solution. The cost for relocating your laundry to your garage is typically around $5,000 for plumbing installation, dryer venting and electrical work. Personal gym: Converting your garage space into a personal gym allows you to eliminate the need for a monthly gym membership. With no more need to travel elsewhere to get in a good workout, you can exercise when and how you want. The cost to convert your garage into a working gym is $5,000 to $10,000 for installing proper flooring, walls, ventilation and a small HVAC unit. Home office: If you need a little extra space for a home office, look no further than your garage. For $5,000 to $15,000, you can hang drywall, install flooring, wire your office and install a small HVAC system to cool or heat as needed. Having your office away from the busiest areas of your home can increase your productivity and restore order to former chaos. 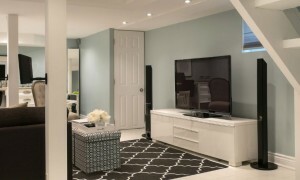 Family rec room/home theater: Do you need a place for the family to gather for a fun night? Your garage can be converted into an entertainment oasis with minimal effort. Depending on the extent of your imagination, a family rec room conversion can be accomplished for $5,000 to $20,000. For a home theater fully stocked with state-of-the-art electronic equipment, expect to add an additional $10,000 to get the job done right. Artist studio: For those with an artistic side, converting a garage into a working artist’s studio can be a dream come true. For $18,000 to $38,000, you can hang drywall, add flooring, install cabinetry to hold your art supplies, install windows to catch the light, and add a small HVAC system to keep your creations at a reasonable temperature. Garage band studio: Develop your musical side by using your garage as a band studio. For $10,000 to $20,000, you can install walls, floors, HVAC, electrical and soundproofing for your musical endeavors. And with your studio outside the busiest living areas of your home, you can practice in peace while your family enjoys a quiet evening at home. Granny suite/efficiency apartment: If you need a place for Grandma to stay, or for your older teenager to experience life a little apart from the rest of the family, you can convert your garage into a fully functional apartment. Expect costs of $22,000 to $63,000 for a one bedroom, one bathroom efficiency apartment. While this may seem like a large investment, it will increase your home’s value as well. Since it requires additional plumbing, electrical work, a separate HVAC system, flooring, drywall installation and decorating, the larger price tag is both understandable and reasonable. Building codes differ by location. It’s important to find out about necessary permits and licenses before embarking on any garage conversion project to avoid potential fines and penalties. Because skills in plumbing, carpentry, drywall, HVAC and electrical trades are needed, many homeowners find it easier to hire a contractor to convert their garages. A contractor can work with you to maximize your space, and he or she can also provide you with a cost estimate for your proposed project. 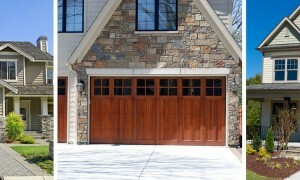 Working with the right professionals, you can use your garage to its fullest potential, increase the value of your home, and create an inviting and comfortable living space for your family to enjoy.